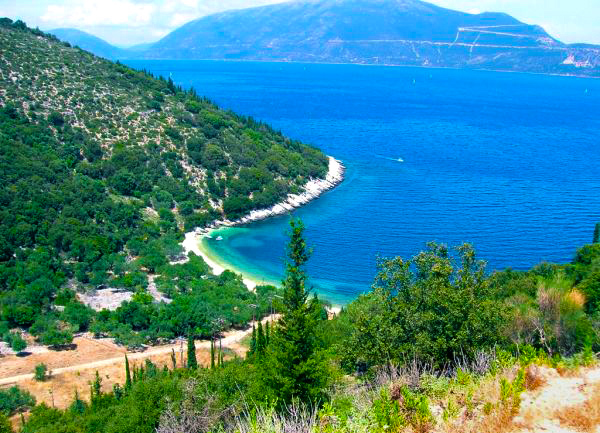 Apart from world renown and multi-awarded Myrtos Beach, Kefalonia island features a wide variety of choices for your daily swim scattered around the long, rich coastline. Cosmopolitan, relaxing, family, funky, alternative, sporty, serene or all-day partying, what ever your choice is, crystal blue waters stroking lacy shores with fine golden sand or blinding white pebbles is what expects you here. In the northern of the island, Erissos region, where scenic Fiscardo settlement is located, you will find remote, non-organised beaches of unique beauty. Surrounded by wild, lush vegetation in unspoiled landscapes where the shades of trees almost reach the pebbly coasts embracing calm, green blue waters, the beaches of Erissos are ideal for carefree, tranquil moments away from the crowds. Foki, Emplisi, Gagiana, Aghia Ierousalim beaches are accessible by car and worth to visit! On the east coast of the island, find yourselves at Sami region, Captain Corelli’s setting. 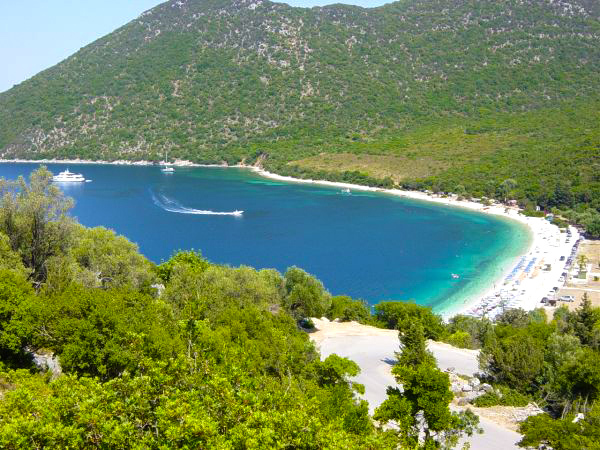 Enjoy refreshing dips in organised beaches such as Antisamos, Karavomylos and Agia Efimia featuring white pebbles and crystal blue waters. Descending to southeastern Kefalonia, meet picturesque Poros settlement with calm, peaceful havens and reach Skala resort, featuring a very long, organised pebbly beach with deep refreshing waters. The region of Livathos in south Kefalonia boasts of small and tranquil coves or long, crowded organized beaches, a wealth of choice! Avythos and Ai Helis beach are the most crowded while Lourdas, Trapezaki, Spartia and Pessada bays feature beaches for all tastes. At a short distance by car or bus from Argostoli, refresh yourselves in the crystal clear waters of the Ionian Sea in Lassi area, brimming with golden sandy shores. 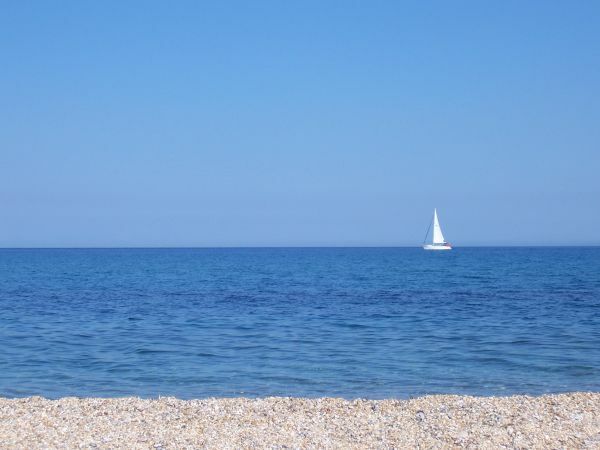 Makris Gialos and Platis Gialos are the most famous and crowded organised beaches, yet there are plenty of non-organised beaches along the coastline, all sandy and clean. Meet totally different scenery in Palliki area, where Lixouri town is located. Red sandy beaches, surrounded by clay cliffs, featuring warm and shallow waters, such as Xi beach and Megas Lakkos, are ideal for families with children. For exquisite beach scenery, you must visit Petani, featuring crystal clear waters, rather wavy most of the times.